This map shows the logos of all the major league baseball teams positioned in the territory of the Roman Empire according to their odds of making the playoffs this coming season. The longer the travel time to Rome, the longer the odds. 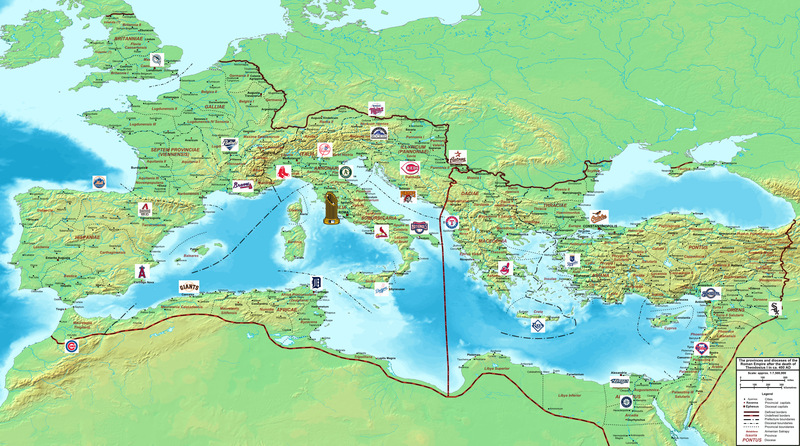 Thus the A's, Yankees and Red Sox are all on the Italian Peninsula, with the Cubs off in North Africa, the Marlins in Roman Britain and the Orioles in Constantinople. It was prepared by Zach Reynolds, who offers more info about how the odds were calculated or an enlarged version of the map. Not only is this one of the most convoluted and meaningless possible ways to present data, but it is also unique in combining two of my longtime interests: maps and ancient history. It also reminds me of two other ridiculous maps. 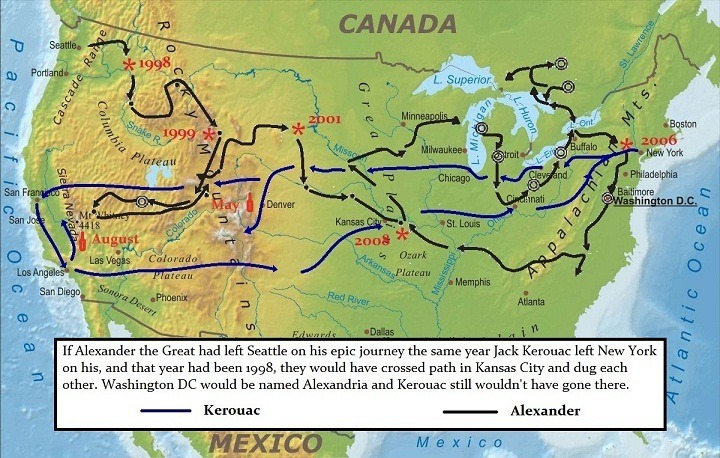 The first has some of our most mappable sports teams, the second tries to combine the journeys of Alexander the Great and Jack Kerouac in both time and space with thoroughly incoherent results.